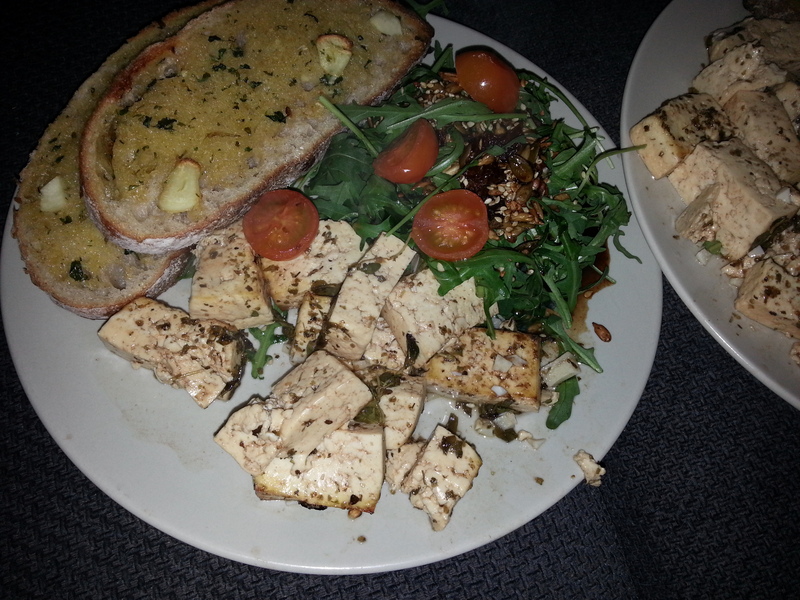 Flicking through the great book that is Veganomicon, I found a recipe called Marinated Italian Tofu. I decided to make it, even though it was slightly time consuming and the results were fantastic. 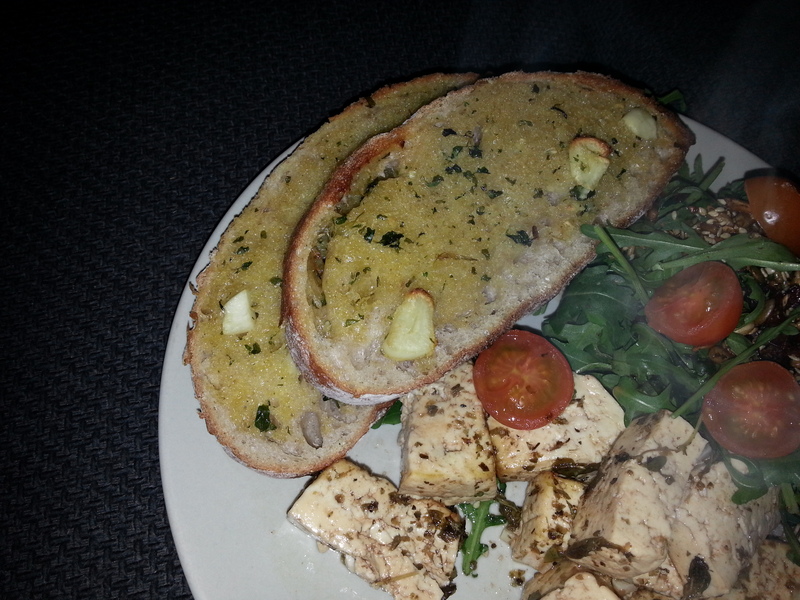 This was a lovely weekend dinner and for an extra treat I made some garlic bread and I had a rocket salad on the side. 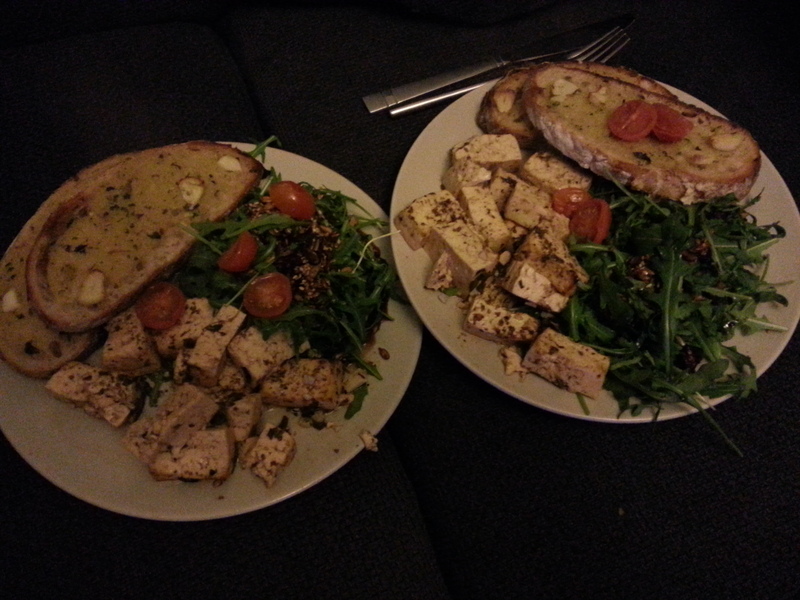 Mykey’s favourite food is Italian so you can imagine he was over the moon helping me cook and prepare this meal. Prepare marinade. Combine all ingredients. Preheat oven to 400. Cut tofu into eight equal pieces. Marinate for an hour. Flip after 30 minutes. Place all ingredients except bread into a pestle and mortar and grind into a paste. Spread on sour dough and bake for 8 minutes. Then all you have to do is mix all ingredients together and sprinkle some nuts and seeds on top. Approx nutritional values: 450 calories, 10 g fat, 38g carbohydrates and 14g protein.